Now deadstock Cone Mills selvedge denim with a super cool monster orange selvedge ID. This style was hard enough to find when Cone was in production so we're excited to offer it one last time at a serious value. 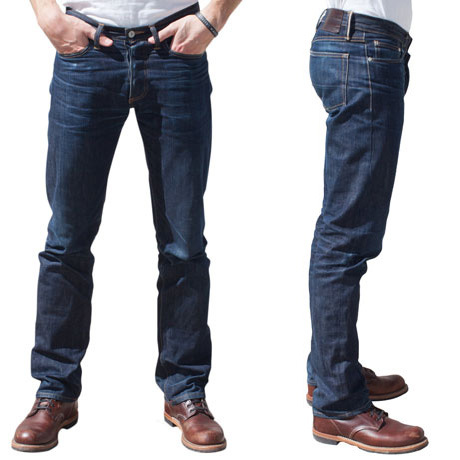 Gustin jeans made from sanforized raw selvedge denim from Cone Mills in Greensboro, NC. 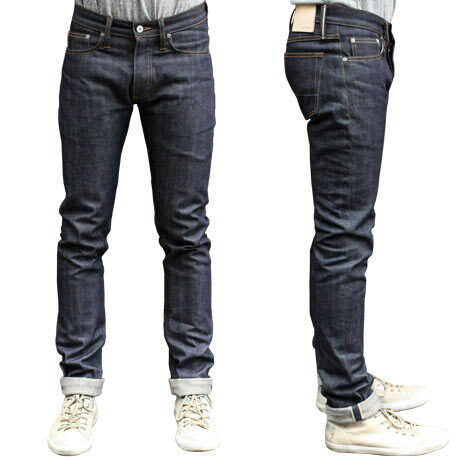 There is something nice about putting on a great pair of denim from Cone Mills. It might not be the heaviest or the slubbiest but it just feels good on. It's always tough, always classic. We all have Cone Denim in our own rotations. This fabric speaks to our love of Cone denim perfectly. The shade is pure indigo and dark. The weight is extra solid at 14.5 ounces but still wearable. There is nice vertical grain that you can see even in raw form, which will result in nice wear-in. The absolutely huge orange selvedge ID keeps it cool. 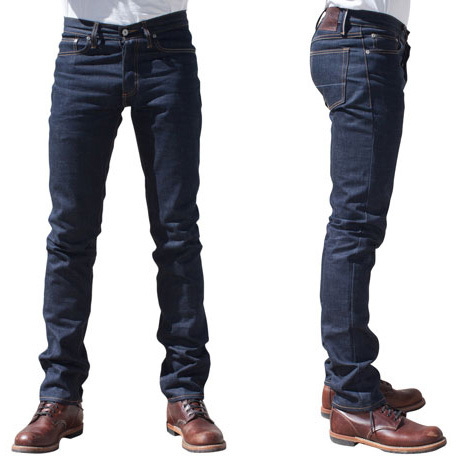 This is a huge value for now rare, all-American denim.